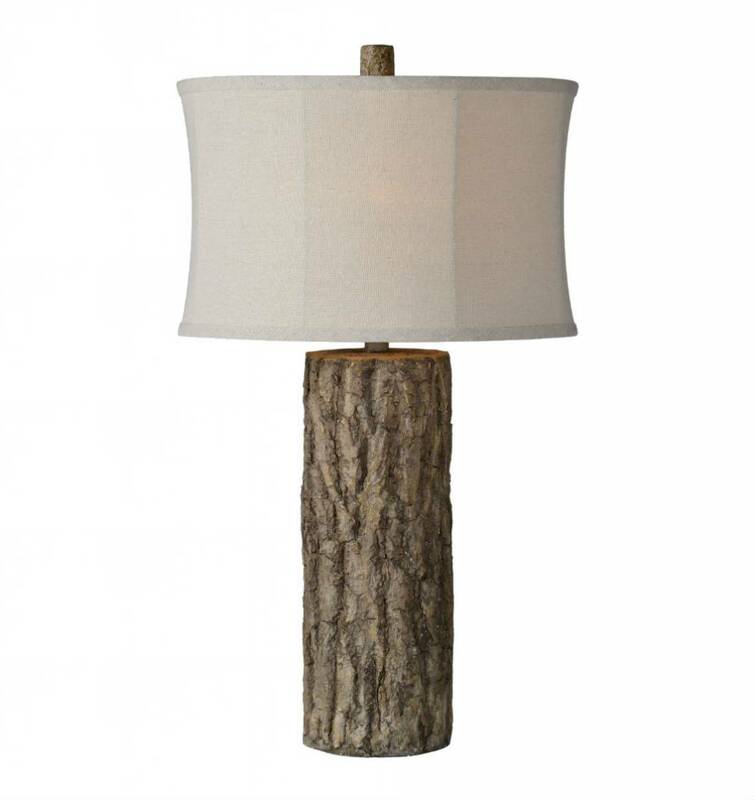 Rustic in style, the Willow lamp mimics the trunk of a tree. 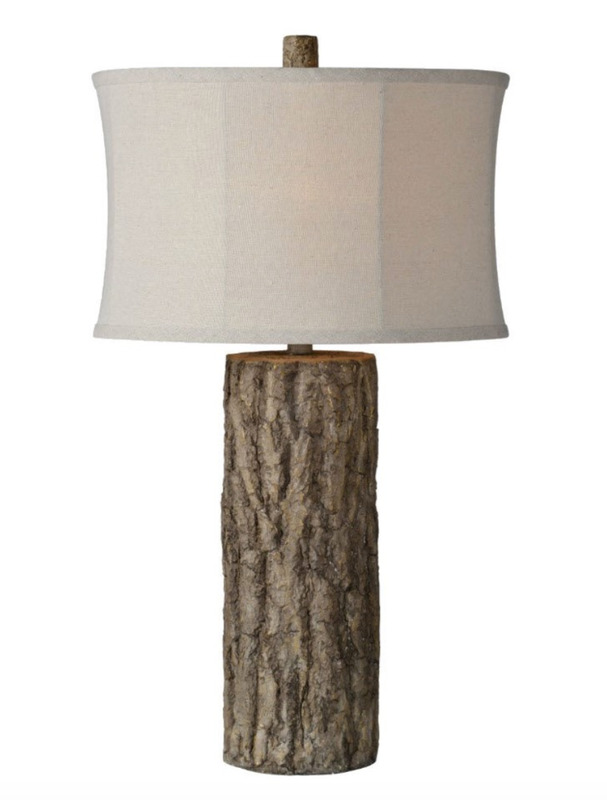 It's neutral finish and oatmeal linen shade allow it to blend well in any lodge-style setting. Glass/Shade: 16" x 16" x 10"